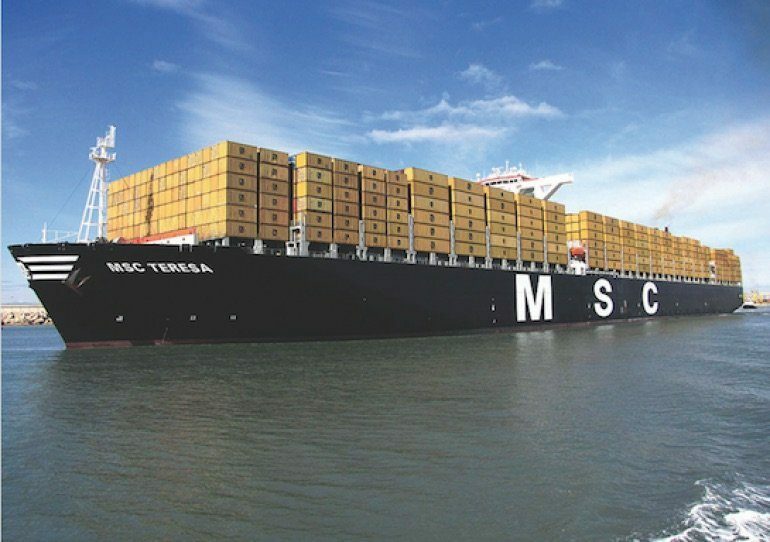 Container shipping giant Mediterranean Shipping Company (MSC) has commissioned CSIC-affiliated Beihai Shipbuilding Industry for the conversion of up to 11 mega containerships. The two parties have signed a firm contract to upgrade the capacity of nine 14,000 teu vessels, and MSC will confirm the contract for another two 14,000 teu vessels in January 2018. The conversion will increase the capacity of each vessel from 14,000 teu to 17,000 teu by expanding the length of the ships from 365.5 m to 394.4 m.
MSC currently has eleven 22,000 teu ultra large containerships under construction at South Korea’s Daewoo Shipbuilding and Marine Engineering.